Phew, we just got back last night from a wonderful holiday to Saskatoon (and beyond!). In typical prairie style it was sunny and +15 on Saturday, and then -5 and snowing on Sunday – ha ha! Nova did amazing on her first flight(s) – and the West Jet staff was amazing, they even gave her a little “My First Flight” sticker. So cute! 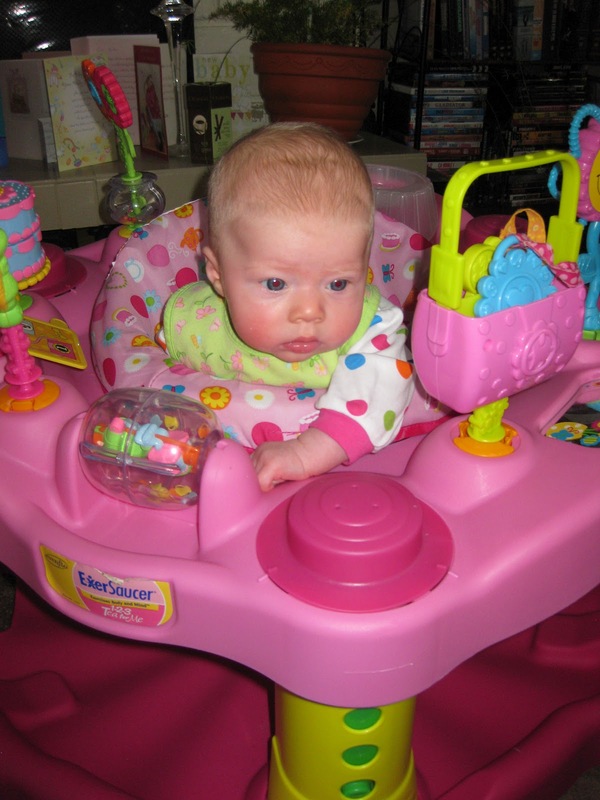 Havin’ a time in her Exersaucer! 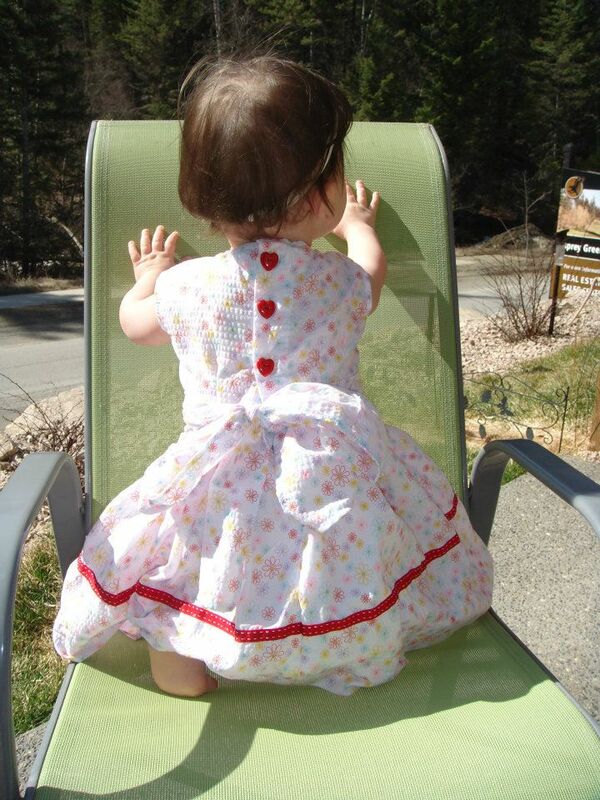 I made this dress for a friend’s little girl last year and it just fits her now – perfect for Easter / spring time. 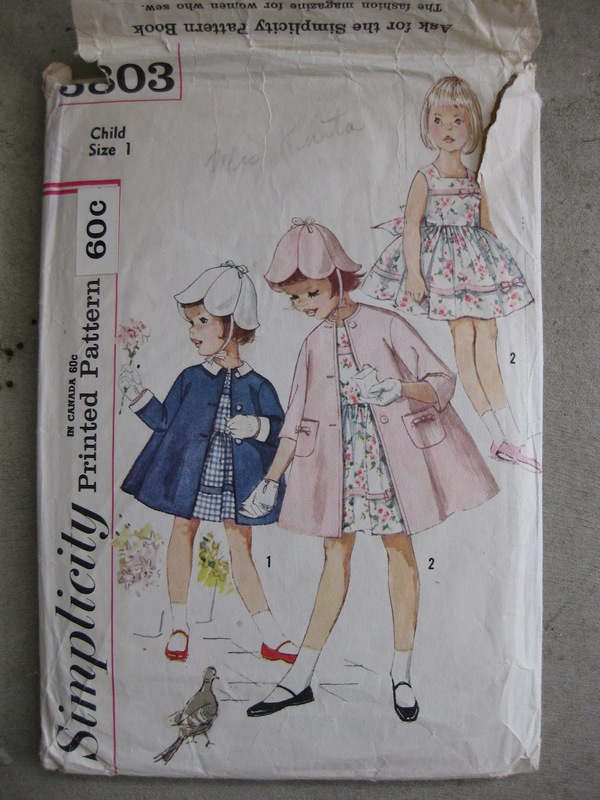 I picked up the vintage pattern from the thrift store in Salmon Arm a few years ago for $0.10. Yes, ten cents! See my original post here. 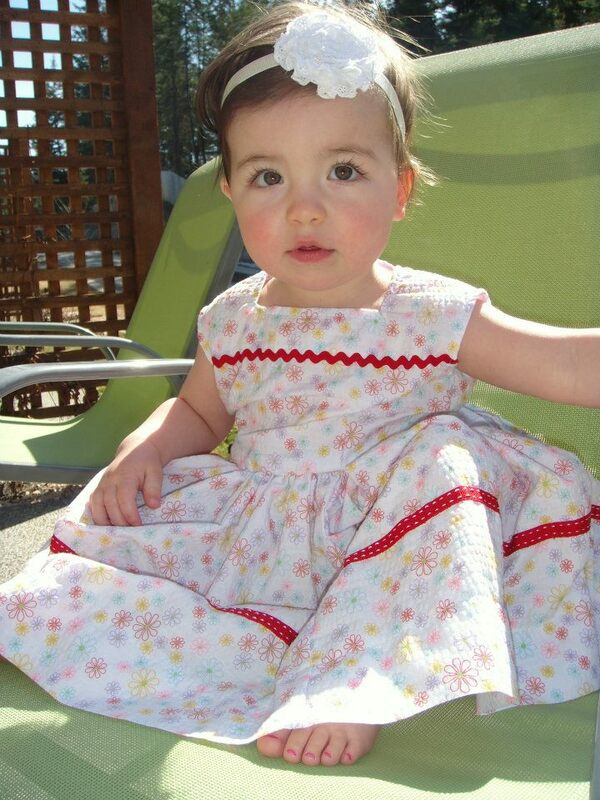 The dress turned out so well and I can’t wait to make one for Nova! 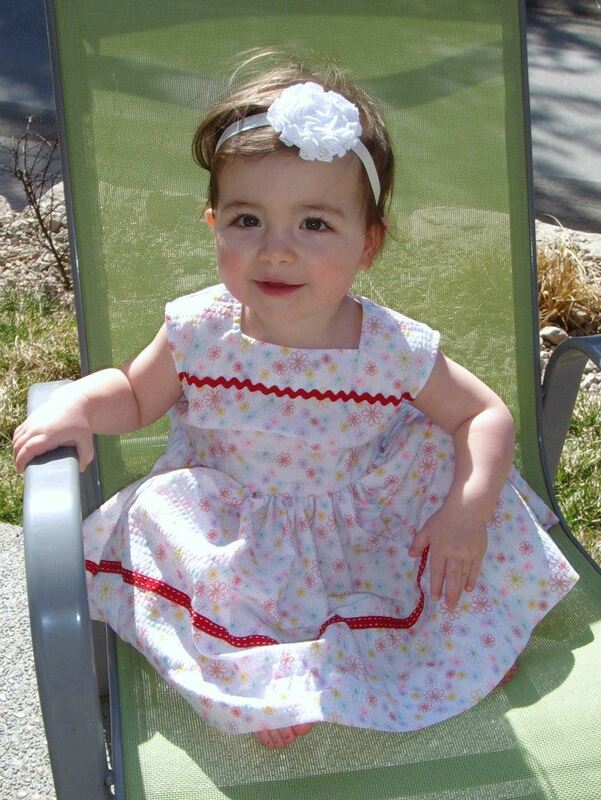 Since my friend’s little one is pretty much one year older than my little one, I figure it will make a sweet Easter dress for 2013! 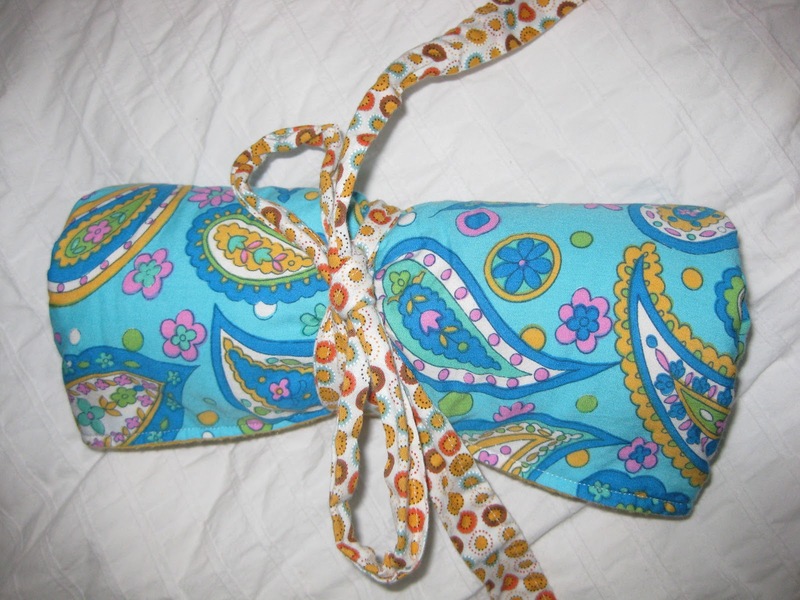 Before leaving for SK I managed to sew a couple of travel changing pads; one for me and one for a friend’s baby shower. They are seriously so awesome and a must-have for any parent! 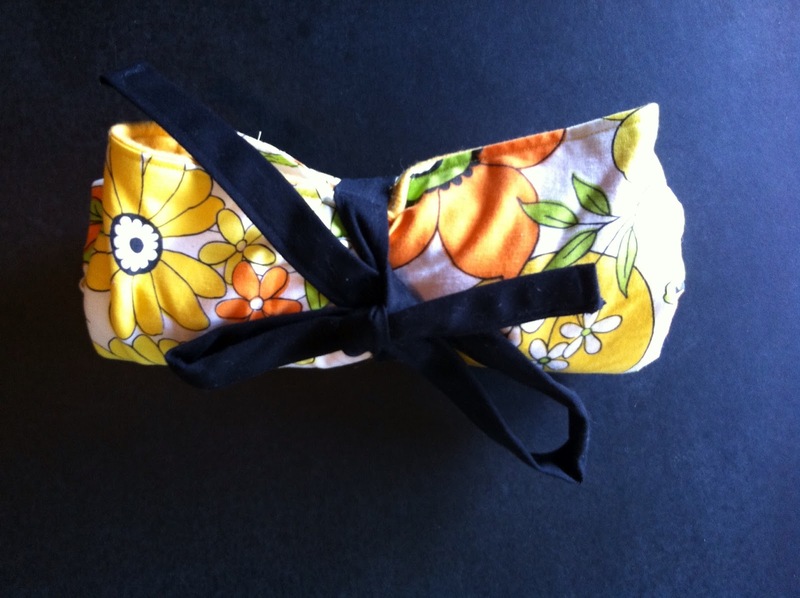 I used the Sew 4 Home tutorial found here. 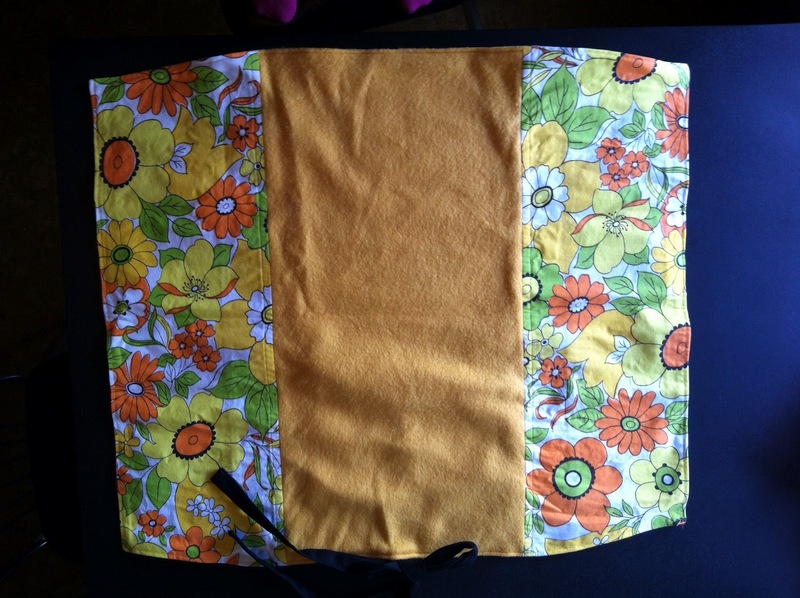 My version is made from some scraps, but I did a better job on the one for my friend. I hope everyone had a lovely Easter and that you’re all enjoying some spring sunshine. 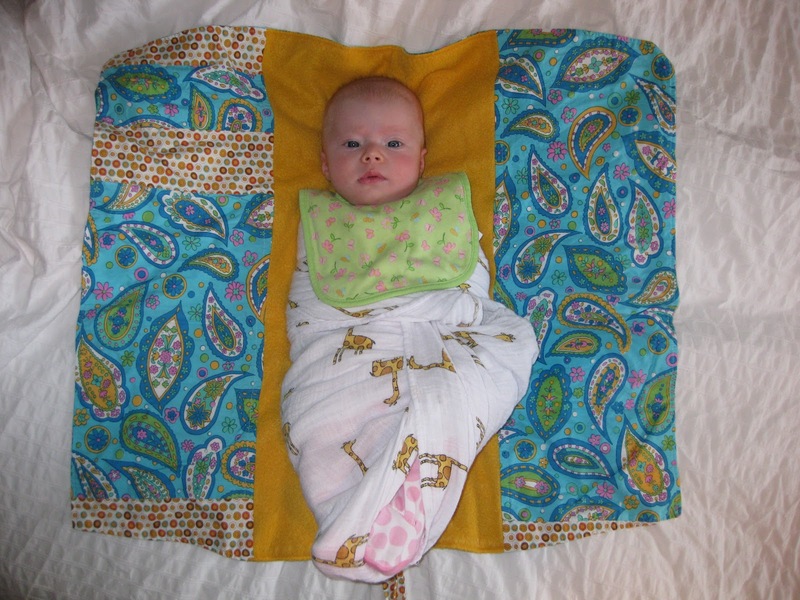 This entry was posted in baby clothes, gifts, sewing. Bookmark the permalink.